Brewery Ommegang Duvel Rustica, originally uploaded by adambarhan. A – Poured a cloudy, golden-yellow color with a one-finger, white head of foam. It left sticky rings of lace on the glass. S – Fruity and yeasty with a bit of funkiness. T – Nice spicy bite up front with a sweet caramel backbone. Good fruity sweetness, too. M – Crisp, sharp and smooth. A medium bodied ale with a dry finish. O – This is a very tasty Belgian-style ale. 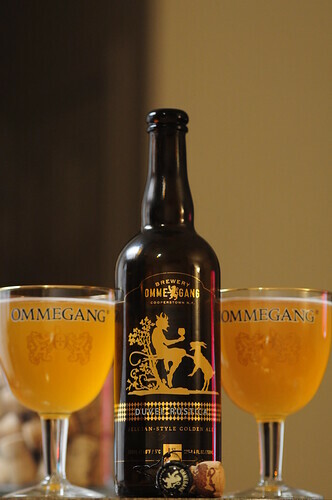 I forget how good Ommegang can be.